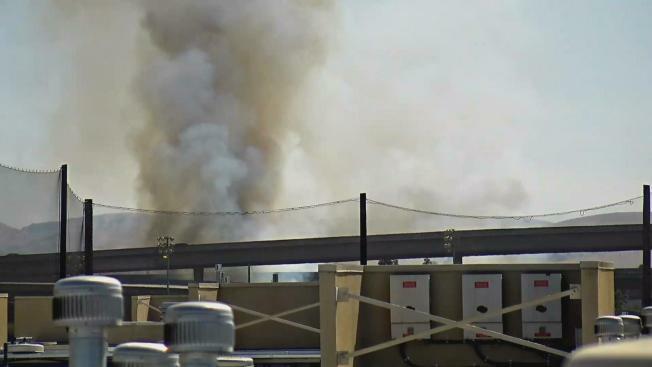 A grass fire on I-280 burns in San Jose Friday afternoon. Firefighters Friday afternoon extinguished a grass fire on northbound Interstate 280 in San Jose. The blaze burned several acres on I-280, just north of Highway 101 and under the bridge.